She’s the girl you’ll be sure to find in the corner of a dive bar, simply glued to the jukebox. In between effortlessly shrugging the advances of barflies and blow-in drinkers, she trawls through Americana, blues and folk until the songs become engraved on her tongue. Singing since she could talk, and playing shows from the age of 8, Katie Bates has crafted her skill throughout childhood. 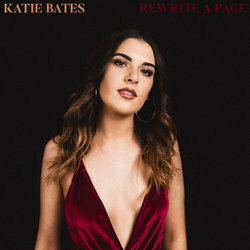 After being in various punk bands growing up, by the age of 17 Katie had found where her true passions lay in country, folk and Americana music and forged forward with a solo career; creating a unique blend of these genres and writing songs that were faithful to herself. Paying respect to some of her favourite artists in Gillian Welch, Neil Young, Tom Petty, Hank Williams and childhood inspiration Kasey Chambers, Katie has gained influence from her idols to create her own classic sound. 2017 saw Katie recording and playing shows around Victoria promoting her new music. Gearing up for the release of debut EP ‘New Gold', the future is bright for this young artist and this year will see her reach new levels in her career. 'Rewrite A Page' presents strong saloon roots, feeling like a Tarrantino movie meeting country, with a beat that will leave you hooked. The lyrical content of the song is about releasing yourself from toxic relationships with others, and learning from your experiences and mistakes to better yourself, making positive changes.